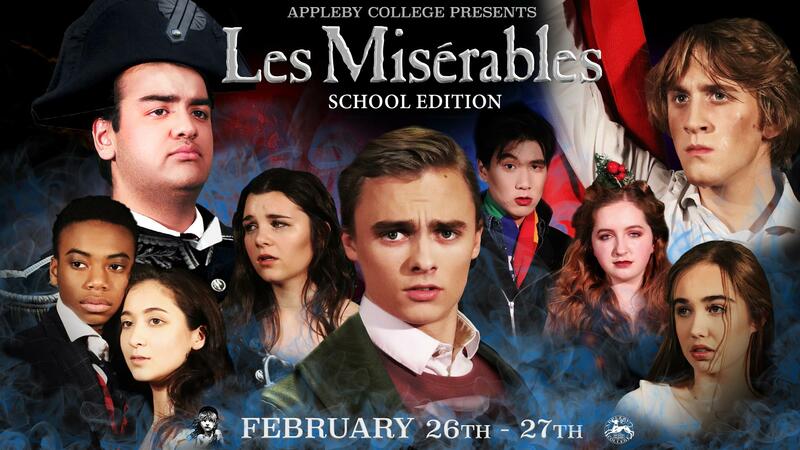 An Appleby College arts tradition continues Tuesday, February 26 and Wednesday, February 27 as the school's performance of Les Misérables - School Edition takes place at the Oakville Centre for the Performing Arts. Les Misérables is 'one of a kind' with a fantastic musical score, brilliant story and memorable characters. In nineteenth century France, Jean Valjean is released from prison to face the many unforeseen challenges that come with his newfound freedom. He is plagued by the legacy of his conviction and must abandon his identity and, ultimately, strive to save his soul. Hunted down by his nemesis Javert, Jean Valjean hides the truth of his identity, encounters the suffering of the French people in the outside world and makes a choice at his own peril to aid in the movement to overthrow the government. Those attending the Wednesday, February 27 performance are invited to join us for a post-show reception kindly hosted by the Appleby College Parents' Association in the foyer of the Oakville Centre for the Performing Arts. Tickets are available for both performances for $25 each and can be purchased through the Oakville Centre for the Performing Arts Box Office only. Be sure to purchase your tickets as soon as possible as they are selling out fast! To order, please click here or call 905-815-2021. With the installation of the climbing wall almost complete and the finishings for the four squash courts underway - the interior of the A.W.B. Alumni Centre for Athletics and Student Life is taking shape. Additional interior finishing continues as the fireplace, drywall and ceramic tile are all installed, along with HVAC, plumbing, sprinklers and electrical systems. To see a time-lapse video of the A.W.B. Alumni Centre for Athletics and Student Life, including an interior tour, click here. Thank you to everyone who supported Appleby's annual Walkathon! The funds raised will go towards organizations that support our community and international education initiatives. The final calculations are in and we are proud to announce that this year, the Appleby community will be donating $40,000 to the United Way of Halton & Hamilton, $5,500 to the Oakville Community Foundation and $5,500 to Angel Xpress. On behalf of these organizations – thank you! On Wednesday, February 13 Senior Two student Sarah Kosturik will present her chapel speech. Each year Appleby undertakes an evaluation of the Advisor program, and an important part in this process is feedback from our parents. 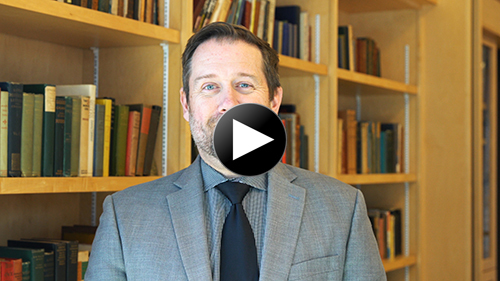 To learn more, please click here to view a message from Chris Patterson, director, Upper School. The advisor survey will close on Thursday, February 14 at 4:00 p.m. To complete this survey, click here. We thank you for your input and time! Members of the Appleby community (faculty, staff and parents) are needed to serve as judges for Appleby's annual Middle School Science Fair on Thursday, February 14 at 1:15 p.m. While we would prefer some prior science experience, no extensive scientific background is necessary, as you will be provided with judging instructions before the event. We encourage you to come out and see some amazing projects from our Middle School students. To volunteer, please contact faculty member Odianosen Iyamabo. Students in Appleby's EcoMentors co-curricular are collecting smartphones (in working condition) to donate to the CNIB Foundation's Phone It Forward program. Donated phones will be cleared to the highest data security standards, loaded with accessible apps and provided to people with sight loss who need them, along with technical training, discounted maintenance and data plan support. Smartphones can be dropped off at Nicholas Arts Centre front reception until Friday, February 15. Appleby's official uniform supplier, InSchoolwear, is holding their annual sale until Saturday, February 16. Additional details can be found in the sale flyer. Please contact InSchoolwear Oakville directly with any questions at 905-338-3030 or oakvillestore@inschoolwear.com. The Upper Two TED Talk competition will be held at Appleby on Tuesday, February 19 from 7:45 to 10:30 a.m. and we are looking for parent judges. If you are interested in judging the event, please contact faculty member Noelle Morris. Returning Middle School, Upper School and Senior One parents are encouraged to attend Appleby's Curriculum Information Evening on Tuesday, February 19 or Thursday, February 21 from 6:00 to 9:00 p.m. Each year, Appleby carefully reviews its academic program and makes changes and additions to improve our students' learning experience. For more details, please click here to see a video message from Diana Dodd, director, guidance. Click here to review the Curriculum Information Evening schedule. Parent-teacher conferences will also take place Tuesday, February 19 and Thursday, February 21 from 6:00 to 9:00 p.m. Parents whose last name begins with A through L are encouraged to attend on February 19. Parents whose last name begins with M through Z are encouraged to attend on February 21. You will receive an e-mail prior to the sessions asking you to confirm your attendance and you are encouraged to RSVP. If you have any questions, please contact faculty member Jonathon Peever. Click here to review the faculty location list. Would You Like to Try Afro-Fusion Dance? As part of Black History Week, members of the Appleby community are invited to join faculty member Kristina Udegbunam in the dance studio on Friday, February 22 from 11:40 a.m. to 12:25 p.m. for a heart-pumping, Afro-Fusion dance class. 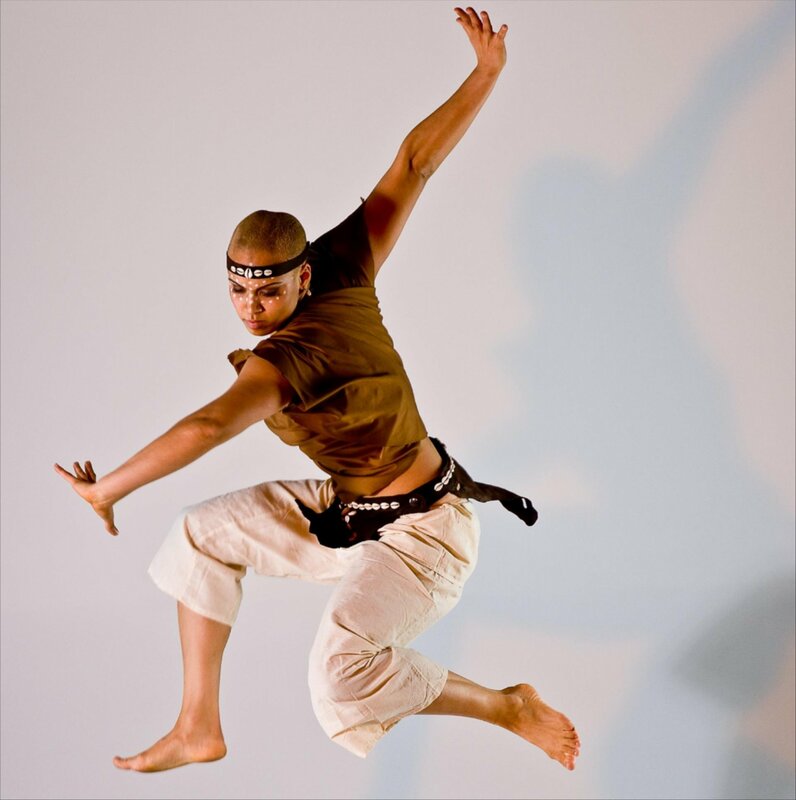 Afro-Fusion dance is a blend of genres of African descent mixed with other influences such as Hip Hop, Contemporary, Caribbean, and Latin. No experience necessary! To RSVP please e-mail Kristina at kudegbunam@appleby.on.ca. Appleby has offered global experiential programming for over 20 years and the 2018-2019 school year will continue this legacy. These programs contribute to student learning by fostering community, providing intercultural education, granting opportunities for personal growth and leadership as well as chances for building teamwork skills, reflective practices and furthering global understanding. The Summer 2019 (Saturday, June 29 - Sunday, July 14) location is Mongolia and the trip is open to current Upper One to Senior One students. The focus of the program will be social services and community development. Applications are open and should be submitted to the Global Education office (MB205) on or before Friday, February 22. The Halton Collaborative Against Human Trafficking is hosting an awareness presentation, Exploring Exploitation: What Parents, Teachers, and Caregivers need to know about youth and human trafficking, on Friday, February 22 from 7:00 to 9:00 p.m. The presentation will take place at the Halton Region Offices, 1151 Bronte Road, Oakville. Please click here for more information. Available to Appleby families to order for a boarding student, a Winter Blues Care Package from Boxed For You is ready for delivery! Included in this box is a fun hot water bottle, cozy cabin socks, a mug, delicious hot chocolate, snacks and treats. For more details and to place your order for the Winter Blues Care Package, please click here or visit www.boxedforyou.com. Order by Thursday, February 28 to guarantee a winter term delivery. Join us for an Unforgettable Summer Studying Biology and Exploring Curaçao! Join us in Curaçao in July 2019 for Grade 11 and 12 biology! Participants will earn their PADI open water diving certification, conduct underwater labs, and experience the unique biodiversity of the island. Students will reside on-site at the oceanside CARMABI Research Station, associated with the University of Amsterdam, for a true feeling of the life of a researcher. Applications will be accepted until Friday, March 1. Please click here to see a video of trip highlights. On Thursday, April 25 at 7:00 p.m. a special Confirmation Service will be held in the John Bell Chapel for all students who wish to receive the sacrament of Confirmation. We will be welcoming The Right Reverend Susan Bell, Bishop of Niagara, as Preacher and Celebrant for this special service. Any students who are interested in exploring the possibility of receiving the sacrament of Confirmation are encouraged to contact our Chaplain, Reverend Craig Luccock by Friday, March 1. Appleby's shoreline protection project has begun. The project is necessary in order to prevent further erosion along the Lake Ontario shoreline and is expected to last until March 2019. During this time there will be a significant increase in heavy equipment and vehicle traffic on the outer campus ring road adjacent to the A.W.B. Alumni Centre through to the driveway leading to the Principal's Residence (please see map). If you have any questions concerning this project please contact Clark Euale, executive director, facilities & operations at 905-845-4681 ext. 244 or ceuale@appleby.on.ca. In the event of a school closure, parents, students and employees will be notified as early as 6:00 a.m. by e-mail and/or phone. Information can also be obtained from the school's automated information update line at 905-845-4681, ext. 540, and through local media. For closures during the school day, the same notifications apply. If you require further information on the school's emergency or security procedures, contact Katrina Samson, Head of School, 905-845-4681, ext. 298. 2019 Appleby March Break & Summer Camps – Open for Applications! While March Break Camp or Summer Camp might seem far away, the team at Appleby Camps can't wait to welcome you back for another fun-filled and exciting camp season! To check out our March Break Camps programs click here; and for our Summer Camps programs click here. As you will see, in addition to adding a number of exciting new programs, we've kept many of the 2018 programs our campers loved including Leadership Camps specifically designed for ages 12-14, and 14-17. Senior Leadership provides participants the chance to build on the following skills: group dynamics, communication, cooperative learning, leadership styles, followership and confidence, and also gain their Standard First Aid and CPR-C certification. This year, they will also be participating in an overnight hiking out-trip making it a two-week camp! Please visit www.appleby.on.ca/camps or contact the Camp Office at 905-845-4681 ext. 113 to learn more! On February 5, a debate competition for Appleby's Upper One students took place on campus. Each class section was represented by one or two students, then a debater was selected to compete in the finals in Willis Hall. 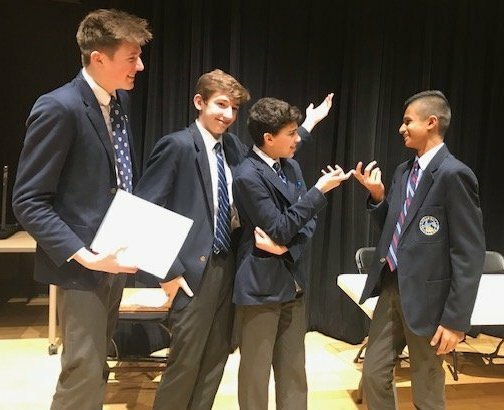 In the finals, Yusef Elmaraghy, Arjun Rao, Charlie Whitehead and Will Herbert debated on the following resolution: This House would lower the voting age in Canada. The judges remarked on the professionalism and level of skill of all the debaters. Yusef was voted as the top Upper One debater. Congratulations to all the participants and thank you to the volunteer judges! On February 1 and 2, Senior Two students Md. 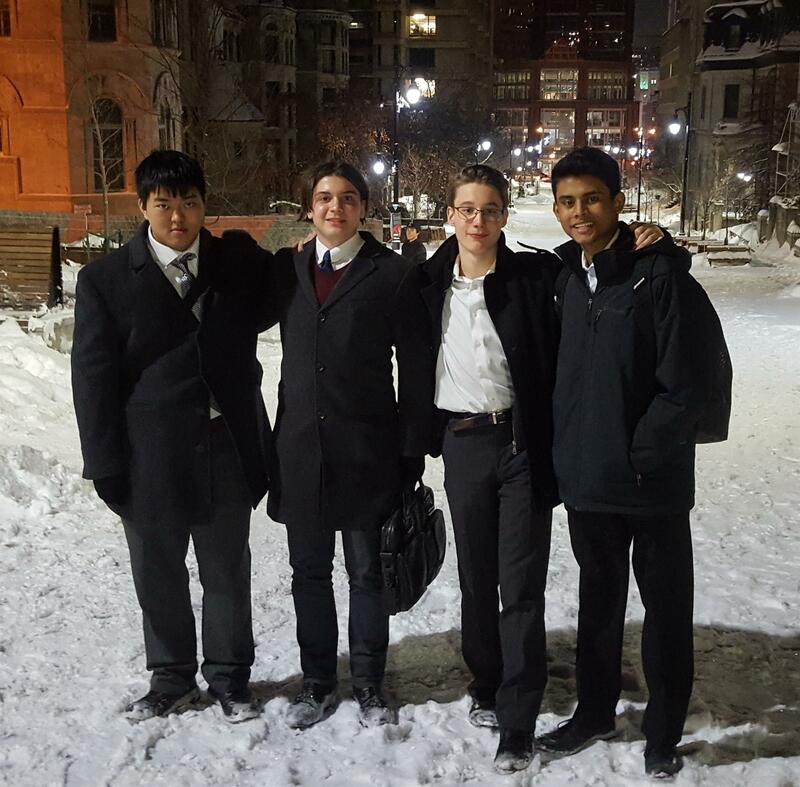 Riaz Mahmud and Rhys Nickerson achieved a podium finish, winning the McGill University Winter Bonanza Debating Tournament in Montreal, Quebec. Debating issues involving current laws, politics, art, neocolonialism and technology, Riaz and Rhys went 5-1 in the tournament rounds before facing Team Canada members during the semi-finals. Arguing side Opposition against the use of Google's Dragonfly in China, they won the round with a 3-0 judges' decision. Moving on to face the 6-0 team in the final round, Riaz and Rhys showcased their geopolitical knowledge as they drew on examples from across the globe to win the round anonymously. Also competing at the tournament were Senior Two students Hui Lin (Bill) Zhang and Nick Usenko. Congratulations! 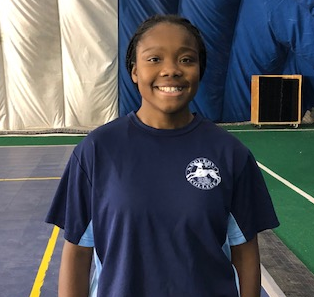 After being told on the bus ride to Hillfield Strathallan College that she would not be playing in her familiar position as setter for the Division 1 Jr. Girls' Volleyball team, Upper One student Amanda Sullivan took the opportunity at the power position to show off a dominating attack and her hits were almost unstoppable. As the match went on, she grew more and more comfortable with this position showcasing not only her newly developed attacking skill, but the ability to adjust to a new position on short notice. Amanda is an outstanding athlete, but most importantly an outstanding teammate - always supportive, always positive, always team first! 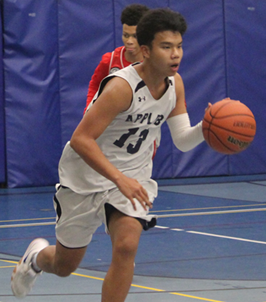 Upper One student Kevin Chau had back-to-back outstanding games - he helped the Jr. Division 1 Boys' Basketball team secure their first victory of the season during Appleby's Winter Community Weekend against Trinity College School. He scored 12 points, had double digit assists, and had a number of key steals that helped the Blue Dogs win. More recently, Kevin played the best game of the season against the best team in the league, Crestwood Preparatory College. He scored 25 points! His performance was instrumental in forcing the game to go into overtime. Kevin approaches each game with great intensity, vision, and skill, but his most admirable trait is the respect he has for his teammates, for his opponents and for the game. 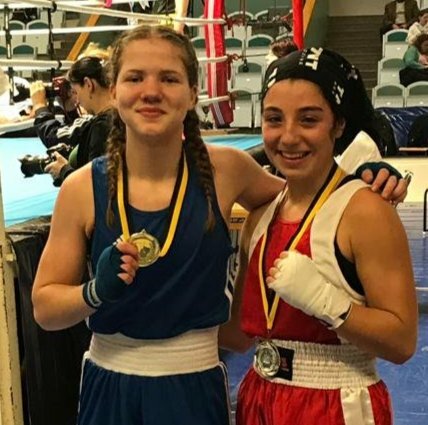 From February 1 to 3, Upper One student Florence Silva Rodrigue participated in the Golden Girl Championship, the largest all-female boxing tournament in the world, in Borås, Sweden. Over 400 boxers from across the globe competed. Florence represented Canada in the Junior C, 52-54 kg category and brought home a silver medal after a tough fight against Holland in the finals. She will be attending the Canadian Championships in April. Congratulations! Looking for something fun to do with family and friends on Family Day? Look no further! Join fellow members of the Appleby Community in the J.S. Gairdner Arena on Family Day, Monday, February 18, from 10:30 a.m. to 12:30 p.m. for our annual Family Day skating event. Hot chocolate and treats will be served. To register, please e-mail Kristy Marasco, alumni and parent relations officer. Appleby Proudly Presents Les Misérables: School Edition! An Appleby arts tradition continues Tuesday, February 26 and Wednesday, February 27 as the school's performance of Les Misérables - School Edition takes the stage at the Oakville Centre for the Performing Arts. Les Misérables is 'one of a kind' with a fantastic musical score, brilliant story and memorable characters. Tickets are available for both performances for $25 each and can be purchased through the box office only. To order, please click here or call 905-815-2021. Parents are invited to join members of the Appleby alumni community for a great night of camaraderie and friendly competition at our annual Winter Sports Night on Tuesday, February 26 from 7:00 to 9:30 p.m. To register for basketball, boot camp or squash, please e-mail Kristy Marasco, alumni and parent relations officer at kmarasco@appleby.on.ca. Space is limited, so be sure to register early. 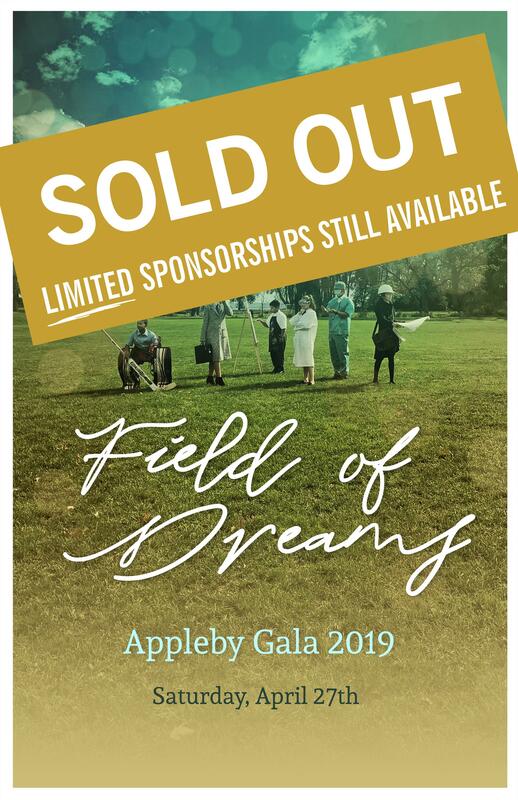 Appleby's 2019 Gala Field of Dreams: Last Call - Limited Sponsorships Still Available! Don't miss out on this SOLD OUT event! Be a part of Appleby's Field of Dreams Gala and grand opening of the A.W.B. Alumni Centre for Athletics and Student Life by helping us reach our target and support the event as a sponsor! • Receive a seat at this sold out event! • Join a list of incredible sponsors who have committed to support the Gala. • Enjoy benefits including recognition on Appleby's social media channels, in Appleby This Week, on the Gala website, in the event programme, on event signage, in sponsor slideshow at event, and more! To learn more, contact Victoria Harrison '06, manager, events at vharrison@appleby.on.ca or visit www.appleby.on.ca/gala. If you would like to be added to the waitlist for Gala tickets, please e-mail Patricia Smallbone, coordinator, events at psmallbone@appleby.on.ca. 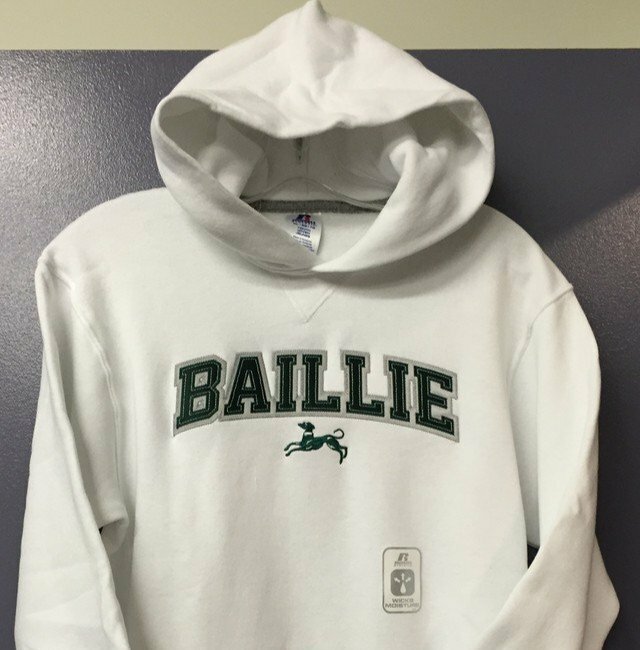 Visit the College Shop and purchase House sweatshirts! Several styles are 50% off - this week only. Be sure to come early, there is limited stock available. Boarder Study Break –Tuesday, February 12 at 9:00 p.m.
Do you like to bake? Would you like to visit your child who is in boarding? On Tuesday, February 12 parents and guardians will be treating Appleby boarders to a study break in the Schlesinger Dining Hall. Parents may donate homemade or store bought treats (and healthier options) to be served with hot chocolate. Holiday themed treats are always welcome! Volunteers are invited to help hand out the snacks from 9:00 to 10:00 p.m. in the dining hall on February 12. Food donations can be dropped off in the kitchen anytime throughout the day, or brought to the ACPA meeting held that evening from 7:00 to 9:00 p.m. in the Raymond Massey Reading Room. Please ensure treats are in a disposable container. For more information or if you would like to volunteer please contact Lisa Guglietti, ACPA campus life representative. As a parent at Appleby, you are welcome and encouraged to attend meetings of the Appleby College Parents' Association Executive Committee. Our next meeting will be held on Tuesday, February 12 at 7:00 p.m. in the Raymond Massey Reading Room. Please click here to review the agenda. After the meeting there will be a Boarder Break. If you have any questions or require further information, please contact Julia Baillie, recording secretary. To help celebrate your milestone achievement, the ACPA is proud to offer our line of graduation rings, designed in conjunction with Knar Jewellery of Oakville. Available in sterling silver, 10K and 14K rose, yellow or white gold. Grad Ring Days will be held on Tuesday, February 19 and Thursday, February 21 outside the Schlesinger Dining Hall during lunch, and outside the Gym during parent-teacher interviews. Rings can also be ordered online or in person at the College Shop and customized for any graduating year. For more information, please contact Kym Larsen of Knar Jewellery at 289-795-4483 or Cheryl Smith, ACPA College Shop coordinator at 416-702-2315. All Appleby parents are invited to attend the pub quiz themed ACPA Parent Social on Thursday, February 28 at the Oakville Club, 56 Water St. (parking at Oakville Club, Navy St., William St. and Oakville Performing Arts Centre) from 7:30 to 10:30 p.m. Add your general and popular culture knowledge to a team to answer the most questions correctly and win a prize. Please RSVP to ACPApubquiz@gmail.com with the number of guests (max. 2) - the first 120 RSVPs will be welcome to join in the fun! If you have any questions, please e-mail Bridget van Akkooi, ACPA social coordinator. We made it through the first month back to school after the winter holidays and our Lost and Found cupboards are already bursting at the seams with winter coats! If you have lost yours, or any other items, please come by the McCraney Barn and take a look. Please consider labeling your clothes, it is much easier to reunite you with lost items. To report lost items, e-mail lostandfound@appleby.on.ca. Do you need to replace uniform items or pick-up something extra? Stop by the Turnover Shop for a wide range of gently used blazers, shirts, kilts and pants, as well as sports uniforms at bargain prices. Donations of gently used uniform items are very much appreciated and can be dropped off at the McCraney Barn or Nicholas Arts Centre front reception. All proceeds go to the Appleby College Parents' Association and benefit the Appleby community.